Pro capitalists may argue that true capitalism is the best way to lift people out of poverty and enhance the quality of life. Taking the USA as an example, some deeper analysis shows that this is not the case. Gold: Is it the answer ? Earlier this year the USD price of an ounce of gold had tumbled into official bear market territory, after enjoying an extending bull run for the best part of over a decade. Although it is still high relative to historical standards, the decline in price has prompted the investment community to ponder over its desirability as part of ones portfolio. Aside from this discourse, the current economic crises has, as often the case in the past, given fuel to the debate about fiat money and its alternatives. ..currently the wealthiest nation by GDP, and also the most indebted, in absolute terms. Here is a visualisation of the scale of debt and fiat money that exists in the US. Commanding Heights: The Battle for the World Economy – a more recent (20th Century) look at the implementation of popular economic theories by world governments and their affect on the global marketplace, over the course of the century. 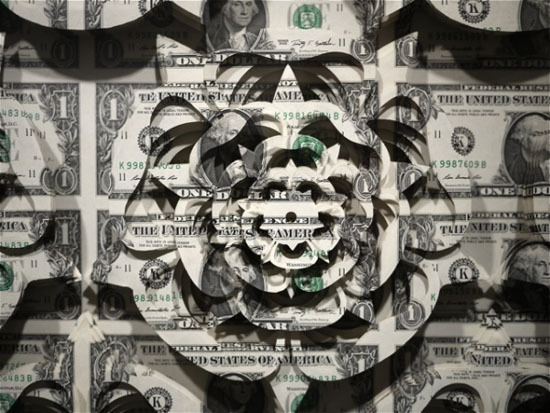 An excellent piece showing the evolution of the overt monetary system. The theme of economic theory and their famous, or even infamous proponents, is explored further in the context of the current crises in this 3-part series, The Masters of Money. The contrasting views of Hayek, Keynes and Marx and the differing application of their work has defined much of the last centuries economic developments. This was a joint production by BBC and the Open University – if anyone can find the full three episodes, please reply to this post with a link.